Tosaya House (土佐屋) is one of the remaining houses in Iwamura. It was built in 1780, and registered as the important historic asset of Ena. Tosaya was a coloring and printing studio for cotton and other products. It displays the life of the merchants in Edo Period and how was the process of coloring and printing. 2nd house and garden was built in early Showa. It displays all process and machinery of weaving, painting and coloring process. 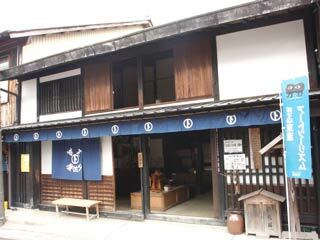 2nd floor of Dozo, the storage is used as the gallery of Tosaya history and products.